I need to preface today’s post with the following disclaimer, “I am not an HFM guy”. I understand it and respect it, but I am not an HFM developer. What I wanted to do today though, was look at how we can extract dimensions from HFM directly. 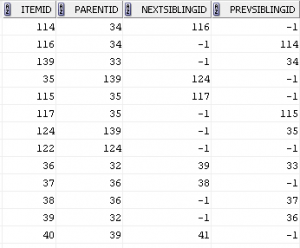 A lot of times, we have to depend on text files coming out of EPMA to provide metadata definitions for HFM dimensions. To me, this is not ideal, as I personally would prefer to consume data (or master data) from tables as it allows you more leeway to perform further manipulations. Before I get too far into this, just another disclaimer that this worked for me on a test environment. This could be considered a warranty breaker. If you are attempting to do this, make sure you TEST, TEST, TEST. 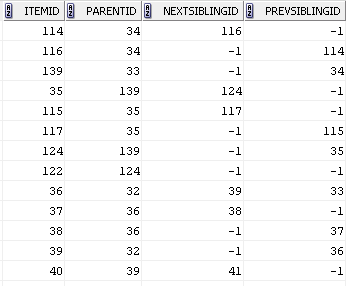 To start off, let’s look at how these dimension tables are set up in HFM. 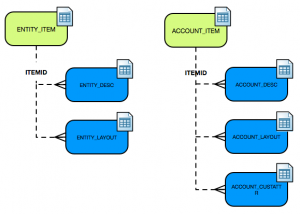 The diagram below shows a high level representation of the Entity and Account dimension tables. In reality, the backend tables are prefixed with the application name. So, entity dimension tables may be set up as follows, for an application called “HFM”. For our purposes, we only need to use the *DESC, *ITEM and *LAYOUT tables (except for the account dimension, where will also need the *ACCOUNT_CUSTATTR table). ITEM: the ITEM table is the primary table that contains all the member names and the key to link to the other tables. This “key” is the ITEMID column. This table also gives us information like IsICP, AllowAdjustments, UserDefined1 etc. DESC: This table provides descriptions for the member names contained in any of the other tables. So, Account descriptions will come from the ACCOUNT_DESCR table; Entity descriptions, from the ENTITY_DESC table. LAYOUT: This table gives us the hierarchical relationship between members. ITEMID would be the “child” member and PARENTID, the “parent” member. NEXTSIBLINGID and PREVSIBLINGID may be used to determine which member appears next within HFM. All custom dimension information is stored inside one set of tables, CUSTOM_ITEM, CUSTOM_DESC and CUSTOMLAYOUT. The dimensions are identified by the LDIMID column. For instance, a quick look at the CUSTOM_HEADER (I have not had to use this table for any other reason) table tells us that there are 5 custom dimensions in this application. And, if we look at CUSTOM_ITEM, we can see this additional column. This also means that we will have to filter out custom dimensions one by one. The SQL above may not be the best, but it does the trick and gives us what we need. Note: you might have to change the query to suit your needs. As you can see, we are able to easily put together a dimension extract which can be sourced by other systems. Imagine if you needed to set up an Essbase or Planning application and needed to source metadata from HFM? This would also work in cases where you might need to import data into DRM. I will put together another post to go over metadata extracts for the accounts dimension. EDIT: A followup post is available on how to extract accounts metadata. Is there a way to extract Entity Locked / Unlocked status in HFM through a SQL Query? Thanks for the comment. I would check, but unfortunately, I do not have access to an HFM environment at the moment. BTW. Very informative blog. Thanks for yr feedback Vijay. I tried looking through the Entiry_Item and security tables but did not find a reference. Any assistance would be helpful. Ok, I had a chance to take a look. You need to look in the app_name_ICT_ENTITIES table. Here, you will see all the locked entities. When STATUS = 1, that means the entity is locked. If it’s 2, it’s unlocked. You will need to link back to the HFM_ENTITY_ITEM table to get the name of the entity. Hope that helps. Thanks for your feedback Vijay. Much appreciated!! I will test and get back on this. Do u also happen to know which table would store the current open period year and scenario in HFM – so we can figure out which ENTITY for the current open period/year and scenario is locked or unlocked? Actually, I haven’t figured out how to translate the period code yet, as it’s using some weird number formatting. The scenario link is easy as you can refer back to the [app_name]_SCENARIO_ITEM table. Thanks Vijay.. I did get a chance to test it and found that the table columns should have the relevant information – but this table is empty even though we have entities that are locked in HFM.. Thoughts? That’s strange…it worked for me. Unless there are other tables that I somehow missed. Those are the Intercompany tables, as far as I know. Have you checked the right application? IF you have multiple apps, they will all get stored in the same schema (same names, but prefixed with the different app names). Very informative. Also how do you get information about isPrimary and #root from these tables. Thanks. IsPrimary and #root come from the EPMA repository, not the HFM repository. So, you won’t find that here. Thanks a lot, Lorie! I appreciate it. I couldn’t figure this out, at the time.